Nailed it! 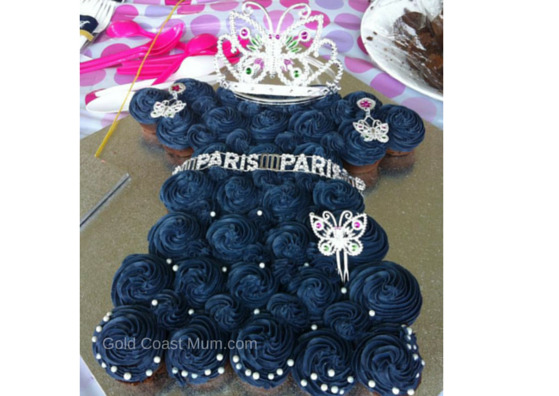 Was it a cake fail for my twins' 1st Birthday? Today is my 33rd Birthday! Hip Hooray! So to celebrate, I thought it was about time I shared the story about the hilarious time I put my piping skills to the test and attempted to ice cupcakes for my twin daughters' 1st Birthday. I know, right. 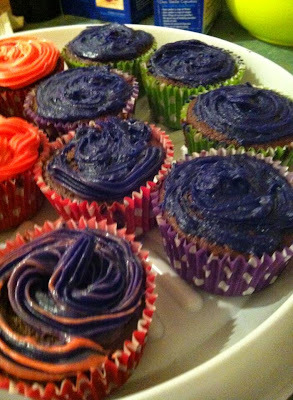 How hard can it be?In the last few years of me making cakes for my kids' birthdays (I will share these in another blog post as some of these have to be seen to be believed) there have been a few failures and some successes. I dream big. But my intentions aren't always realised. I have always been the 'creative director' when it comes to our children's birthday cakes. I'm there scouring Pinterest and everywhere else for ideas and inspiration. I love the planning process and when it's time to source the ingredients and decorations, I end up spending too much money in shops I don't frequent on gadgets I don't need or know how to use. Hubby, who is actually a trade qualified pastry chef (so really HE should be making all of our children's cakes) happily leaves the cake stuff up to me as he is a perfectionist when it comes to cakes, gets really shy and doesn't really want to be associated with my lame attempts. Though, despite playing coy and hesitant, he can be counted on to take over if my attempts have failed miserably and he needs to save the day by whipping up a cake at a moment's notice. Anyway, for our twincesses, I was set in my ways that we were to have two cakes so we could sing happy birthday twice, as they are two separate people. (But that didn't end up happening on the day anyway). 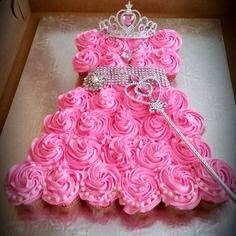 So, ahead of the twins' 1st Birthday party, I got to work making numerous cupcakes hoping our end result would look something like this below. Once my cupcakes were made and in position ready to be decorated, I unleashed my piping skills, thinking perhaps a hidden talent was about to present itself. 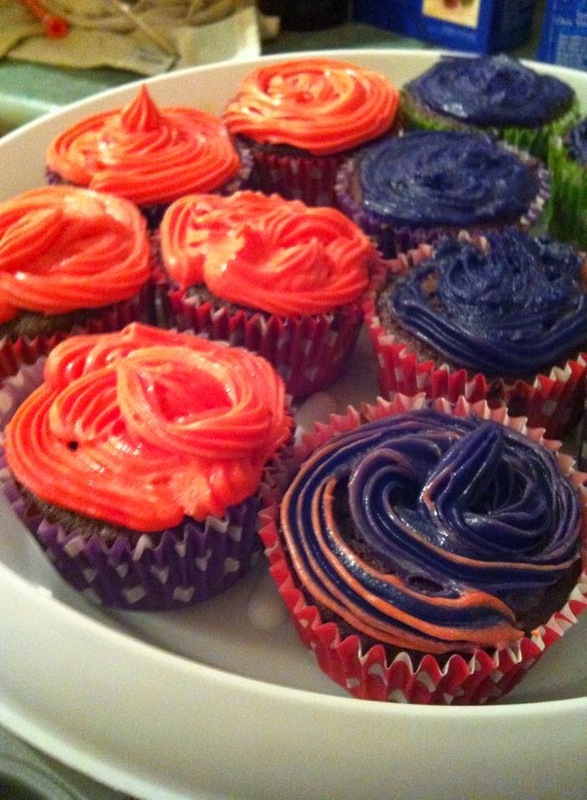 However, it soon became evident that I'm not too handy when it comes to icing and piping. It was probably around this stage - when I realised my icing efforts resembled a unicorn's bowel movements - when I started freaking out, screeching 'Oh shite oh shite' that hubby walked into the kitchen to see my skills in all their glory. After a little chuckle, hubby promptly made a mad dash to the local supermarket to stock up on icing and butter (instead of the margarine I was using to try and make the icing... I know, I know, apparently a no go. Can we please blame baby brain x 4?). Hubby got the job done and Miss 4 and I added the finishing touches - crowns/earrings/jewels and edible pearl things (and the awesome bling belts that my Mum sourced for us as they feature our surname!). 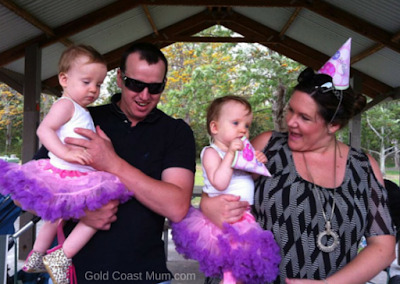 After getting ready for the party and wrestling our children to get dressed/in the car, we arrived at our twincess Natalia and twincess Victoria's party and had a lovely time. Despite my earlier shameful efforts, we managed to produce two cakes (or cupcake cakes?) 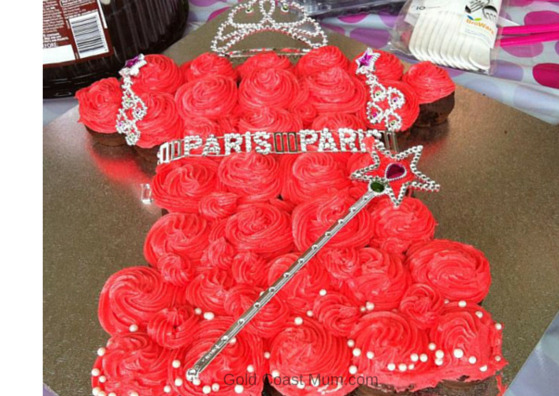 for our twincesses that looked and tasted great! Thanks to my piping extraordinaire hubby for working his magic. 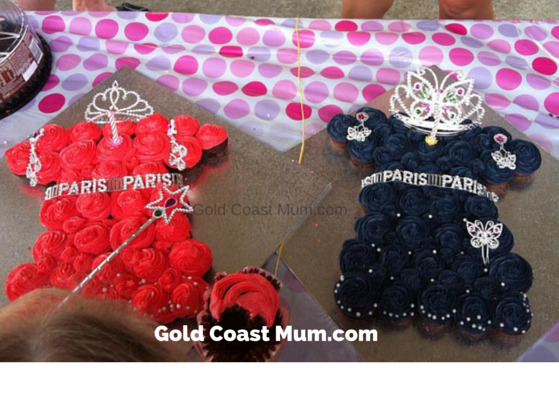 And Miss 4 and I for decorating and twincess-ifying the cupcakes. Do you make/attempt to make your kids' birthday cakes? What are your success stories and failures? What amazing looking cakes! I do make my kids birthday cakes. My daughters rainbow cake was almost a fail. I didn't realise I should trim the cakes so they were flat, so I was balancing 6 different coloured domed shaped layers with icing. I was so scared that cake was going to slide apart on me before dessert time, but all good. My daughter loved it, but never again will I attempt a rainbow cake. Too stressful! what a great result- well done! Well done! So far I have not done very well on the cake-making front. He's only 2 so I figure I have a bit of time to work on my skills! I have had some really late nights decorating birthday cakes. The most ambitious one was probably Sponge Bob's pineapple house surrounded by all of the characters, made by my own fair hand in fondant. January is not a good time of the year to be working with fondant. The result was an A for effort (because I kept going and didn't give up) and the cake and icing tasted great. Oh, and I made my own fondant too. It looked cheerful and detailed, but if I had made it for someone else they definitely would have asked for their money back. What great looking cakes! Well done! Those cakes look fantastic! You're great for even attempting to make them, I wouldn't consider dreaming so big as it would be an epic fail and cause far too much stress for me and the kids :) Well done to you! They looks beautiful! Well done you for making them yourself, most people just buy cakes these days. I have so many great memories of the cakes my mum used to make for our birthdays... there were some great ones! That pink cake is really nice and you tried quite well. Hats off to your efforts. I also am planning the DIY party at one of the event venues Chicago for my son’s birthday celebrations and was thinking to make the cake on my own. But I think that ordering the themed one from a local bakery would be much better idea.